When I was a kid, I used to spend the month of August at a Girl Scout sleep-away camp. Come the end of July the counselors had had a month of camp songs and there was always one that they were thoroughly sick of. So it would be officially banned by the time I got there. Well, that’s how I feel about a particular four letter word – the one referred to as the f-bomb. That baby’s been dropped so many times, I find it merely annoying, especially when people use it three or four times in one sentence. I’d be willing to start a movement for its retirement on the grounds that it’s become a cliché. Ooh, I’m going to tell Sister what you said. And at home, our parents mostly used thinly disguised phonetically-altered hybrids like Gosh, Darn, Heck, and Shucks. You could go to a slew of movies and never hear more than Hell or maybe Damn. Then came the 60’s, which as anyone who lived through them knows, didn’t really happen until the 70’s. But somewhere between The Summer of Love , the Democratic Convention in Chicago, and the Student Uprisings, we found, (yes you and I fellow Baby-boomers) we needed something a bit stronger than Shucks. But when we dropped f-bombs we did it with conviction, and as a verb. It wasn’t a mere place holder in our sentences. No, for that we had like, you know, and man. Like you know what I’m saying man? Like we were just standing there rapping, like you know, like it went on for hours. And then before I knew it, it was like, you know, time to go home. In the 70’s people had started using it as an adjective. The first time this was pointed out to me was at the Jersey Shore where I used to go in on a time share house. It was early in the summer when the Atlantic retains its chill, and there we were, a bevy of bikini clad beauties standing at the water’s edge when a couple of Jersey Boys decided to show off their prowess by running and diving headlong into the surf. I hope Marty,wherever she is, is wearing earplugs these days. I’ve been thinking about this need for a new four letter word for a while now, but I didn’t really take up the cause until St Patrick’s Day. No, no, it was the day before St Patrick’s Day when I displayed lack of judgment by going into Manhattan. I’d already made the commitment before learning the St Patrick’s Day parade was being moved up a day because the 17th fell on a Sunday. 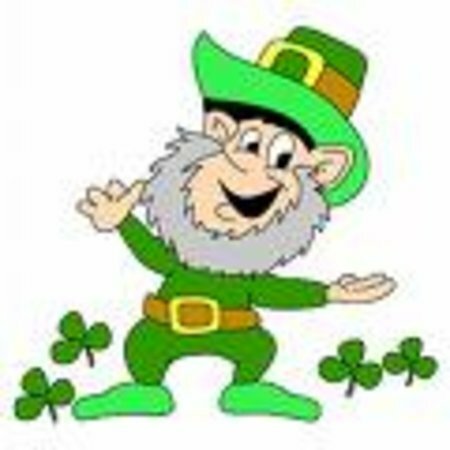 Now if you’ve been following my blog you might remember that, for me, the St Patrick’s Day parade ranks up there with a quadruple root canal. I soothed myself with the thought. How bad can it be? It wasn’t like I’d be taking the last train home, the one that, on St Patrick’s Day, is called The Vomit Comet (need I say more?) No, I planned on taking the 5:10 when all the revelers would still be reveling for hours. Well, I was wrong. The 5:10 was worse. It resembled a high school field trip exploring the effects of alcohol. I walked through seven cars trying to find a quiet one with a slightly older crowd, like over 18. Then I turned around and walked back. I considered taking the next train, but feared it would be worse. Finally I found a middle aged man trying to hide in a book and settled in next to him, hoping no one would upchuck on the hour long ride until I could escape at Peekskill. It was the longest hour I’ve ever experienced. I’d picked a winner of a train car and a bonus seat – in front of three rowdy girls who were cheerleaders for discord as in dissing (as the young folks say) every boy who was within shouting range. It was then, probably to preserve my sanity, that I started trying to come up with a substitute. It hasn’t been easy. For a while I thought about spam. Not the canned meat – the computer junk mail. Everybody hates wading through it . Like you know, man delete, delete, delete. It just like drives me crazy. Then I realized it would never catch on with the young. They don’t email. They text. Whaddya think? Let’s try it out in re-describing that train ride home. St Patrick’s Day was never one of my favorite days. It started in high school. Back in the 60’s if you attended a Catholic girl’s high school in Manhattan chances are you marched in the St. Patrick’s Day Parade. 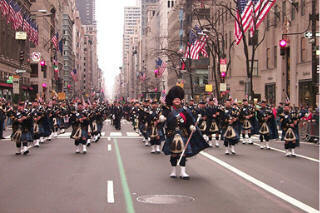 Some schools were competitive, requiring their students to spend time after school or on Saturdays drilling march steps and turns so each line would fan out onto sunny Fifth Avenue from their staging area on a side street with kaleidoscopic precision while the Irish-flag waving crowd cheered them on. Left, Right. Left Right. 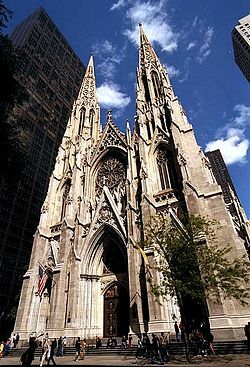 Eyes right at St Patrick’s Cathedral to be honored by a wave or nod from Cardinal Spellman, all in hope of winning the Cardinal’s medal or trophy or whatever it was they coveted. The reason I don’t know what it was is because my school was not one of those.We just had to show up; no practicing – unless you counted that one P.E. class devoted to marching back and forth in the gym to blaring John Phillipe Sousa music. And since we didn’t start off early with the contenders we could sleep late. The down side of that was by the time we assembled on 46th St, the sun’s rays no longer reached down between the tall grey office buildings. But the wind stayed for us. Have you ever been in midtown Manhattan in late afternoon in March? No? How about a windswept canyon? Been there? Well then you know what I mean when I say that by the time it was our turn to move toward Fifth avenue, we’d frozen off our as-pirations of school spirit. At about 4:00 we spilled out, amoeba-like onto Fifth Avenue. The crowds were long-gone but the green stripe remained, and we had other decorations that our friends in those competitive schools had not; random piles of horse plop, soon to be scooped up by the marching contingent to our rear – the Department of Sanitation with their brooms and shovels. It would be untrue to say we had no spectators. We did, captive ones : Nannies and toddlers on the Central Park side of the Avenue, waiting for a break in the action so they could dash across Fifth Avenue with their carriages after a day in Central Park. There were also the dog walkers – ditto for them. On the building side of Fifth, there were the doormen ducking out of their lobbies for a smoke. and when we reached the reviewing stand at St Pats? Empty unless you counted the orange white and green bunting fluttering in the wind or the abandoned folding chairs. As for me, it was all too much. I won’t say the atmosphere charged with enough beer fumes to give a contact high frightened me, it just made me uneasy. And so I’d leave my friends to celebrate for me, and make my way to the bus stop to wait for the 86th Street Crosstown to whisk me through park and over to the sanity of the West Side. Maybe it’s the contrarian in me, but I bristle at being required to do something, even party. That’s why Years Eve is #1 on my hated days list, followed by Valentine’s Day, impose romance doesn’t appeal to me either. So is St Patrick’s Day #3 on the list? 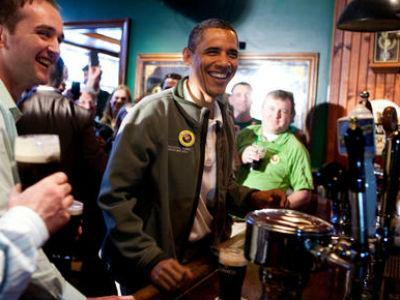 No, I don’t hate St Patrick’s Day, it’s just that ‘I’ve never felt it was mine to celebrate. I may have had an Irish American grandfather but I also had a German American grandmother and a grandmother and grandfather who’d emigrated from the West Indies so somewhere along the way any bag pipes or Danny Boys in my gene pool got drowned out. I know they say everyone’s Irish on St Paddy’s Day but that was just talk to me. But flash forward… never mind how many years later but 48 miles to the north where this St Patrick’s Day found Marcos Dog and I following our Saturday routine We enjoy our tranquil morning walks all week but we’re city people so we need our fix of sidewalking! And downtown Peekskill is but six miles from our house. Peekskill is an old river city, its multi-cultural population a mix of aging old time residents, young professional families restoring the city’s abundant crop of beautiful old Victorians, and Latino laborers and their families sharing Victorians that have been divided into apartments. Accordingly, the downtown area is a mix of upscale restaurants, art galleries, artists ‘lofts, antiques stores, as well as bodegas and bars. Post script #1. I turn on the 11 0,clock news. Post script #2 The next day I visit the cemetery to do some early planting. I look up at my brother’s grave while digging and while I can’t say I’m noticing it for the first time, but the engraving adorning it pops out at me. A Celtic cross! I give up. You don’t have to be IRISH to celebrate St Patrick’s Day. Just don’t make me march!